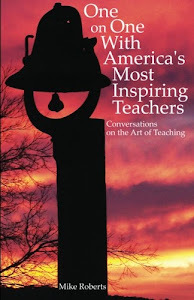 "Mike Roberts draws on interviews with many of our most dedicated, honored, and celebrated teachers to get insights and examples of what it means to be a teacher. We all learn best by examples and analogies, and these teachers prove that time and again. This should be required reading for all who enter the teaching profession." Dr. Max Thompson, Founder of Learning Focused Inc.
Glenn Lid teaches Chemistry at Proviso East High School located in suburban Chicago, Illinois. 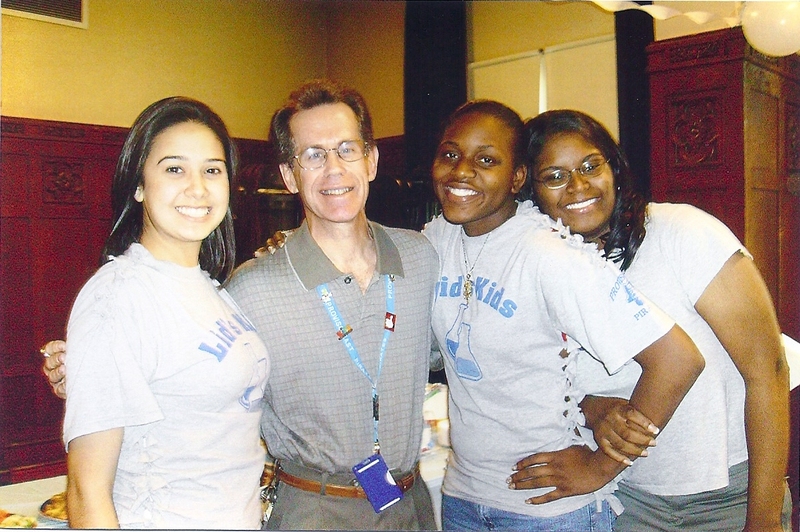 Glenn Lid was determined to use his life to help others. When becoming a doctor didn’t work out, he went on to inspire others to do more with their lives than they thought possible. He is a living example that adversity breeds opportunity. After 31 years he is still going strong at Proviso East High School in Chicago Illinois. I understand that you have done something very unusual this year with your Nuclear Chemistry unit. Will you please describe your strategy? Glenn: For many years when I teach about Nuclear Chemistry I ask my students, “How many of you have ever heard of what happened in Hiroshima and Nagasaki in 1945?” It is always shocking to me to see only 1 or 2 hands go up in my entire classroom. This year I made a short questionnaire and gave it to all science students in the school. The questionnaire had questions like, “Do you know what happened in Hiroshima and Nagasaki, Japan in 1945?” “Do you know what the letters WMD stand for?” “Do you know what happened in Chernobyl, Russia in 1986?” “Do you know what happened at 3 Mile Island in 1979?” The results were just stunning. 90% of the students knew nothing about any of those events. I tried to think of ways that would show the kids the power of nuclear energy. I also wanted them to understand its potential impact on an emotional level. I remembered the movie The Freedom Writers and how powerful the end of the movie was when the kids got to meet with the Holocaust survivor who helped Anne Frank. I started thinking of a way to have my students meet a survivor of Hiroshima? When I began searching the web I found The Peace Memorial Museum in Japan. It’s similar to a Holocaust museum but it’s dedicated to eliminating nuclear weapons. It’s also dedicated to the memory of those that were subject to nuclear bombs dropped on Hiroshima and Nagasaki. On the museum’s webpage was a link to request an interview with a survivor. I emailed the museum and got a reply back almost the very next day. The museum and I established a day and a time to video conference with a Hiroshima survivor. We set up the school’s auditorium in order to Skype with Mr. Nakanishi. We had about 100 students, faculty, and former students in attendance. He was 15 years old the day the bomb was dropped. His presentation described the events of that day. He showed paintings of the events while he gave an explanation. Following his presentation the students ask him questions. One student asked, “What did you do for food after the bomb?” He explained that because of the war they were already starving. There was no food available because the war was going so poorly for Japan. After the bomb things got worse. He said he was eating worms, frogs, whatever he could find. It was horrible. Another student asked a question I will never forget, “If you knew the nuclear bomb was going to drop and you had a chance to say goodbye to someone who would it have been?” People in the crowd began crying after she asked that question. Mr. Nakanishi was caught by surprise by the question and got choked up a little. He mentioned a little cousin of his that he liked so much, a little girl. They never found any traces of her after the bomb. Mr. Nakanishi was 15 years old when the bomb dropped. At 15 he was very militaristic and was really into the whole war idea. He made it clear to my students that he hates war. He thinks war is crazy and nuclear weapons are even crazier. One of the students asked him how he felt about nuclear energy. He explained that he was against anything with radioactivity. His abhors the idea of nuclear fission because of what it can do. What were the students’ reactions regarding his presentation? Glenn: They were impressed with his passion for wanting to end war and nuclear energy. Some were in shock in response to some of the stories he shared. Most everything that is depicted of that day is done through art. One image really impacted the kids. Mr. Nakanishi talked about dead people floating down the river with their eyeballs protruding from their heads due to the sudden change in pressure. It actually pushed their eyeballs from the sockets of their heads. The burns that people sustained also shocked the students. Even more hideous was the radioactive sickness. You just can’t understand what truly happened there until you talk with someone like him. He closed with a statement saying that the purpose of this whole interview is for this to never happen again. Profits provide book scholarships for future teachers who may be struggling financially. JLaurel Publishing 2011. Simple theme. Theme images by luoman. Powered by Blogger.